This year, SCHS' ITS Troupe 2921 will be taking Juniors and Seniors to the MD State ITS Festival, hosted at Towson University. The dates are January 6 & 7, 2017, and students will miss classes on Friday, January 6. Juniors will attend and participate in workshops. Seniors will attend and participate in the One Act Festival, with the option to compete in the Scholarships or Individual Events. The festival registration fee is now $75 for all students, $25 for chaperons and one troupe director/sponsor is free. The registration fee covers the cost of admission to festival, workshops, 4 meals, and performances. The registration fee does not cover the cost of individual events, honor awards, one act festival participation, Tech Olympics, or hotel accommodations. If students sign-up for performing in the Maryland Individual Events (MIE’S) there is a $15 fee per student for per event with a limit of two performances allowed. Senior Scholarship auditions are $25 per person. Hotel rooms are $99 each and will house 4 students per room. The cost of the bus is $350 and will be split by all students attending festival. If you are a Junior or Senior and are interested in attending the MD State Thespian Festival, please complete the packet outside Ms. Adolph's room and return it no later than October 12. 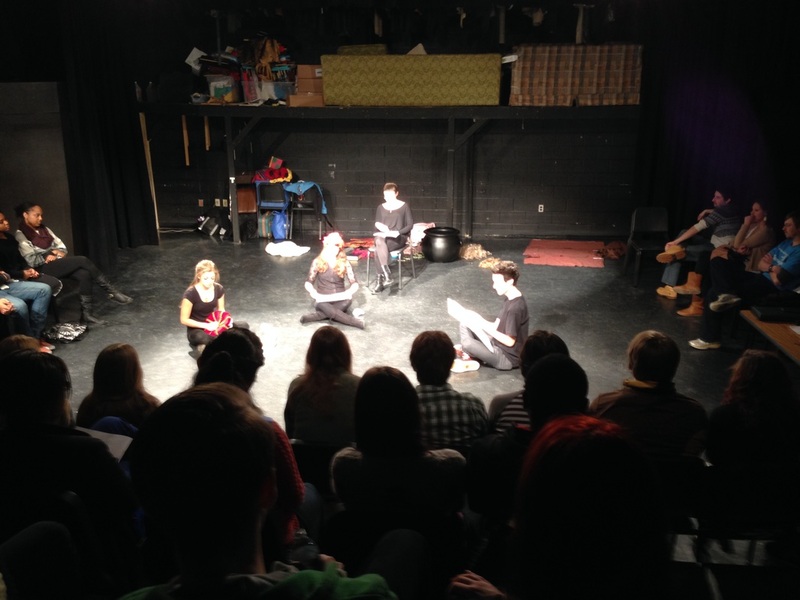 Click here to read more about Festival from the MD Thespian Website. 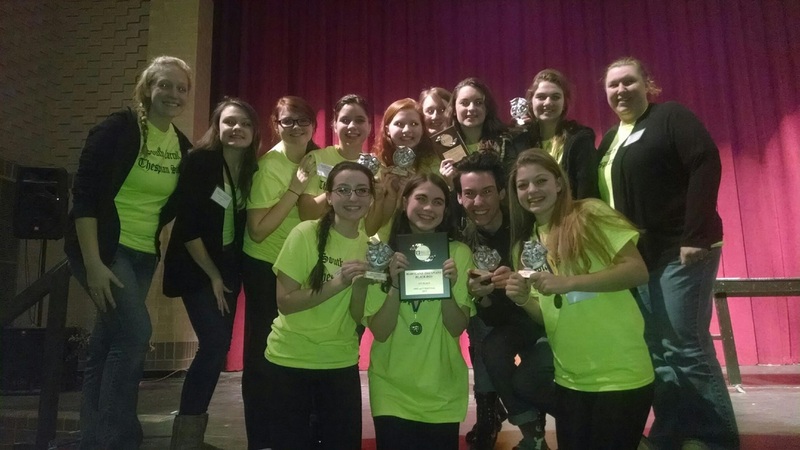 This year, the Maryland State Thespian Festival was held at Tuscaroara High School in Frederick County. We had a great time seeing other schools perform and participating in workshops. Many of us participated in the pupeteering workshop, as well as the "nap" workshop, which we loved. This was also the first year that we had students compete for Individual events and scholarships. We were very pleased with our results! Finally, we performed the original one act, "Same Difference", written by Will C. Franklin, on the Mainstage, where we took third place in the competition. Overall, it was a very successful trip! We are excited to attend next year's festival. 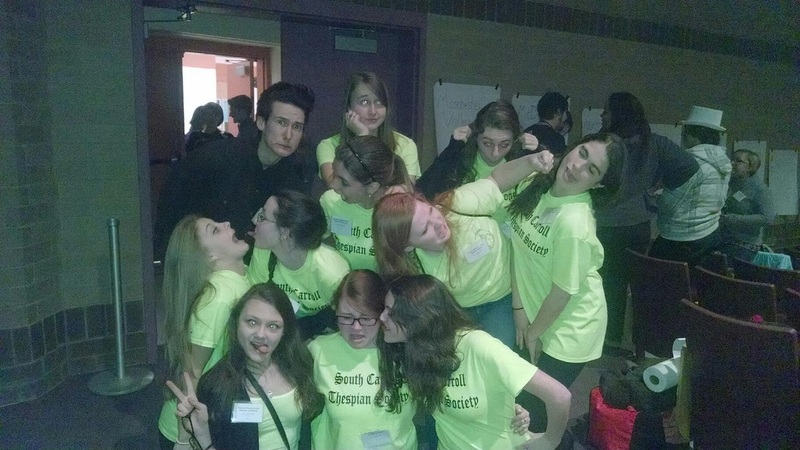 South Carroll International Thespian Troupe attended the Maryland Thespian Festival at Huntington High school over the weekend of January 24th and 25th. All attendees watched performances from other schools across the state and attended workshops with professionals in various theatrical fields. They also spoke with colleges and signed up for auditions with potential universities. and were treated to a performance from the National Players. Overall, it was an incredibly successful weekend. 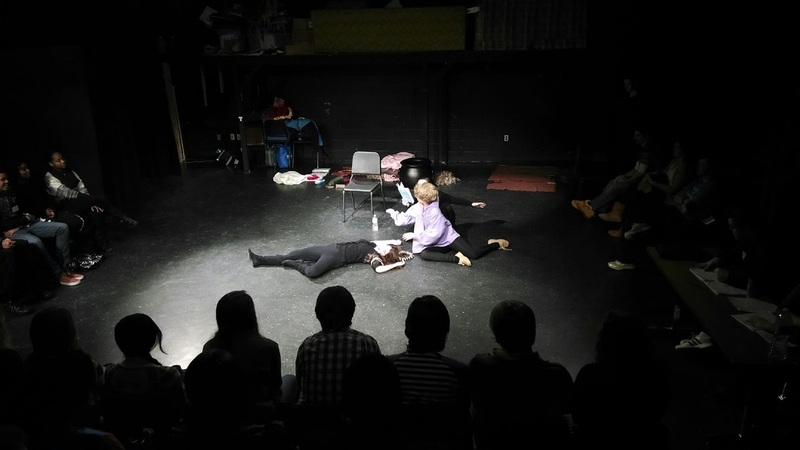 Four students, Julie Esworthy, Brittany Federici, Hannah Miller, and James Rouchard, performed selections from "The Complete Works of William Shakespeare (abridged)" in the black box theatre on Saturday morning. Their phenomenal performance earned South Carroll the award for best ensemble, costumes, staging, props, truth in the world, and best vocals. They also took 1st Place Overall in the Blackbox Competition. This is an incredible accomplishment for these students, especially considering that this was their first time attending, yet alone bringing a piece to the State Festival. Julie and Hannah also took medals for best actors in their one act.